Entrance of Montezuma County Courthouse in Cortez. It is a popular stop for tourists, who stay there because of its central location among surrounding attractions, such as Mesa Verde National Park, Monument Valley, and the Four Corners. There are many prehistoric sites in the Cortez area, listed on the Colorado State Register of Historic Properties or both the state register and the National Register of Historic Places: They include large parks or centers, such as Crow Canyon Archaeological Center, Hovenweep National Monument, and Mesa Verde National Park. There are also smaller or individuals sites, such as Cowboy Wash, Hawkins Pueblo and cliff dwellings, Lowry Ruin, Mitchell Springs Archeological Site, also known as the Mitchell Springs Ruin Group, Mud Springs Pueblo, and Yucca House National Monument. Within the McElmo Drainage Unit (AD 1075-1300) is Cannonball Ruins, Maxwell Community, Roy's Ruin, Sand Canyon Archaeological District, and Wallace Ruin. A Lockheed U-2 reconnaissance aircraft made an emergency nighttime forced landing August 3, 1959, at the Cortez Municipal Airport. Major H. Mike Hua (now retired as General) was on a training flight originating at Laughlin AFB, Texas; the U-2 aircraft engine flamed out at 70,000 feet MSL. Maj. Hua established best glide and was able to navigate through a valley to a lighted airport that wasn't on his map nor did he know of its existence beforehand. The airport was the only one in the area with a lighted runway which was illuminated overnight. Cortez is located at (37.349270, -108.579225). According to the United States Census Bureau, the city has a total area of 5.5 square miles (14 km2), of which 5.5 square miles (14 km2) is land and 0.04 square miles (0.10 km2) (0.36%) is water. Cortez is located in the area of the southwest known as the "High Desert", as are most of northwestern, western, southwestern, and southern Colorado. View looking SE of Main Street in Cortez, with the cliff faces of the Mesa Verde visible in the distance. Cortez is a local commercial center, competing with Durango in the east, and Farmington, New Mexico in the south, and draws trade from southeastern Utah, the extreme northeastern corner of Arizona, the Shiprock area of Northwestern New Mexico, and San Miquel, Dolores, Montezuma, and parts of LaPlata County in Colorado. Its economy is based very heavily on tourism, both to nearby Mesa Verde National Park as well as to San Juan National Forest, Bureau of Land Management (BLM) lands in the area (including Canyons of the Ancients National Monument, as well as the Ute Mountain Ute Tribe and Navajo Indian Reservations). Mesa Verde National Park, featuring Ancient Pueblo cliff dwellings, is situated southeast of Cortez. In the city, the population was spread out with 26.7% under the age of 18, 8.8% from 18 to 24, 26.6% from 25 to 44, 21.6% from 45 to 64, and 16.4% who were 65 years of age or older. The median age was 36 years. For every 100 females, there were 91.4 males. For every 100 females age 18 and over, there were 84.4 males. The median income for a household in the city was $28,776, and the median income for a family was $35,533. Males had a median income of $30,755 versus $20,280 for females. The per capita income for the city was $18,040. About 14.8% of families and 18.6% of the population were below the poverty line, including 27.3% of those under age 18 and 17.3% of those age 65 or over. Cortez Public Schools are part of the Montezuma-Cortez School District RE-1. The district has one preschool, five elementary schools, one middle school and one high school. The educational system is currently suffering a loss of 1.6% according to the Transitional Colorado Assessment Program. Montezuma-Cortez RE-1 Pre-School, Kemper Elementary School, Lewis-Arriola Elementary School, Manaugh Elementary School, Mesa Elementary Schools, Pleasant View Elementary School, Cortez Middle School and Montezuma-Cortez High School are located in Cortez. The high school mascot is the Panthers. Alex Carter is the Superintendent of Schools. Cortez Municipal Airport serves Cortez. William B. Ebbert, popular rancher and politician, represented Cortez in the Colorado General Assembly in early 20th century. ^ "History of Cortez". The City of Cortez. Retrieved 2012-06-07. ^ "Profile for Cortez, Colorado, CO". ePodunk. Retrieved 2012-06-22. 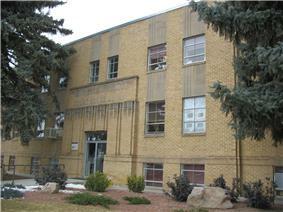 ^ National Register of Historic Places in Montezuma County, Colorado American Dreams, Inc. Retrieved 2011-10-7. ^ National & State Registers. Colorado Historical Society, Office of Archaeology and Historic Preservation. Retrieved 10-7-2011. ^ a b "1959 "alien landing" was an ROC pilot in a spy plane 「外星人登陸」？ U2機台灣駕駛啦！". Taipei Times. February 27, 2010. Retrieved June 12, 2013. ^ "2009 Cortez Aviation Heritage Celebration". Cortez Aviation Heritage Society. Retrieved June 12, 2013. ^ "Montezuma-Cortez School District RE-1". Montezuma-Cortez School District RE-1. Retrieved 2014-03-10.